Backlit display screen, with all results from RCD testing shown on one screen – no scrolling needed! 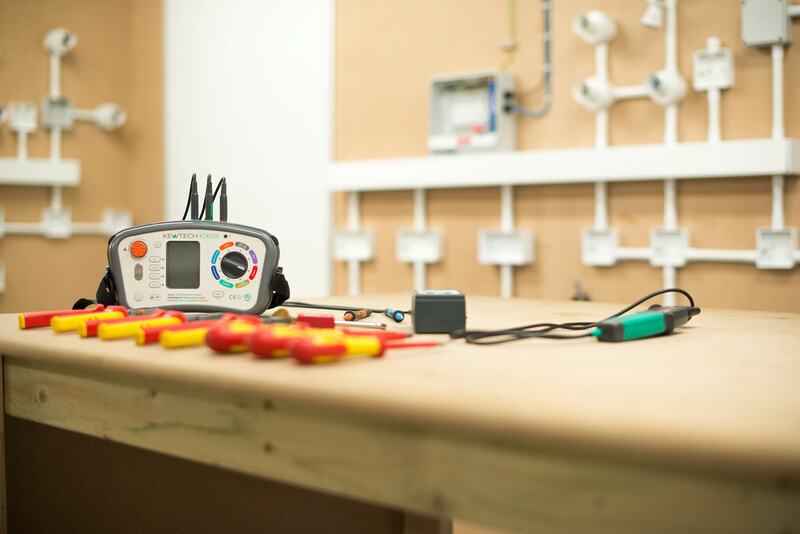 We make sure that each customer who walks through our doors at our electrical training centre has the best possible start in their career, which means the best products to use while they are learning. 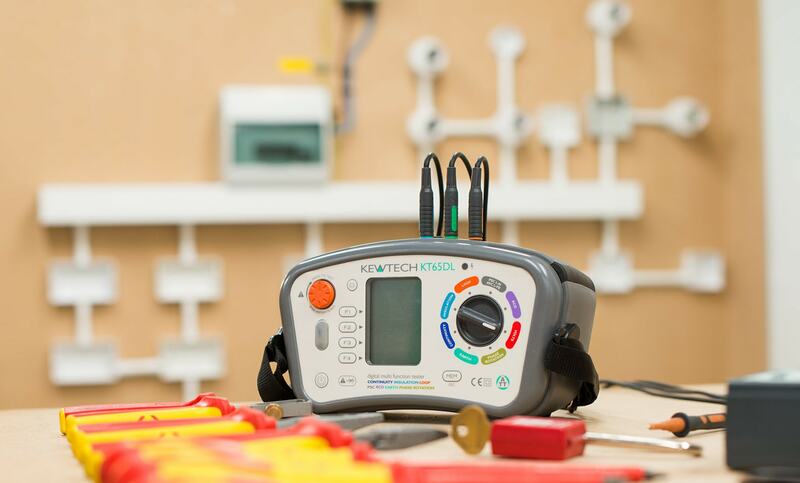 The Kewtech KT65DL multifunction tester is one of the products we have used since opening five years ago because it’s solid, durable and reliable, not to mention a great piece of kit to start out with. No wonder all of our customers love it too! Since opening, we have been awarded ‘Training Centre of the Year’ by Kewtech two years in a row and have always been very open and honest about their products. It is a brand that is trusted and well known, as their products stand the test of time. The KT64DL multifunction tester is a robust instrument, which combines the latest anti-trip technology, advanced memory, phase rotation and earth resistance. It’s easy to use and a reasonably priced piece of testing equipment, which now comes with high quality G7 test leads. Most important to note, the KT65DL tester works to the BS 7671 17th Edition Wiring Regulations, as the test current exceeds the 200mA required. The KT64DL comes with multiple selectable voltages – 250V, 500V and 1000V. However, as with every product, there are some drawbacks, one of which being the small display, especially when it comes to RCD testing. 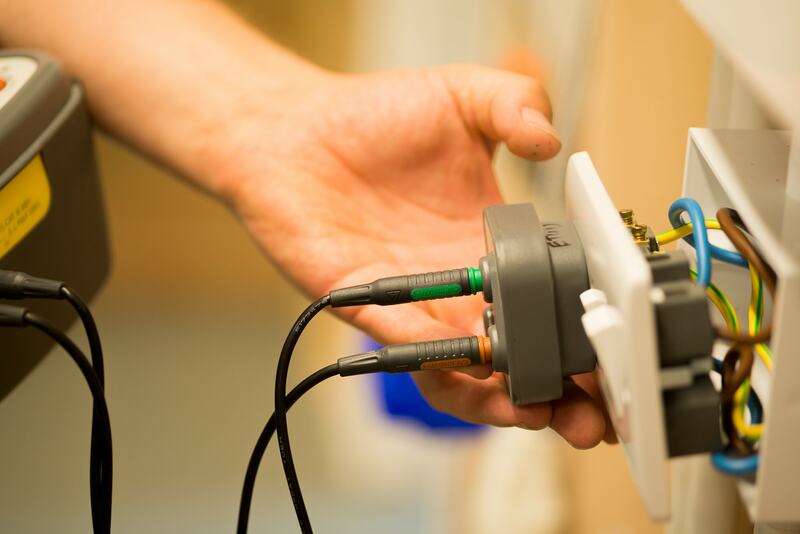 “It’s slow doing earth fault loop impedance test L to PE and it’s a bit susceptible to transient noise with a fluctuation to magnetic fields” explains our head trainer further. The test lock button is a great feature and the leads and accessories are good to replace. Our head trainer also says, even though he has a Fluke and a Megger, he would still give it 4 out of 5 stars and calls it “the best on the market for durability and price”. The Kewtech KT65DL meets all the required national and international standards that are relevant for installation testing and its RRP is £1,295. Looking for more Kewtech reviews? Find out what we thought of Kewtech’s KEWISO2 Safe Isolation Kit!